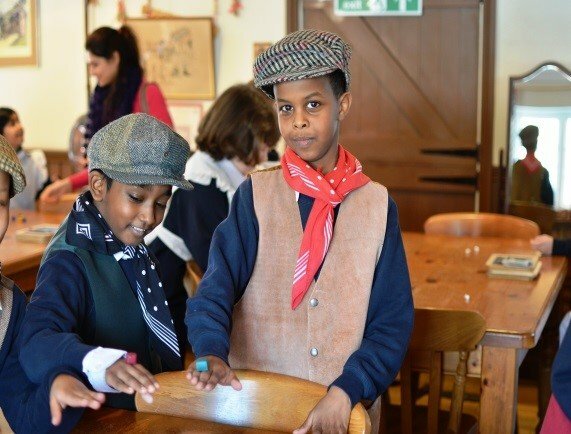 Education grants are provided to individuals, schools and organisations within our catchment area (TW9, TW10, SW13, SW14) to further the learning and development of those in our community. Information and links to relevant forms are given below. Should you have any queries, please contact Amy Vogel, our Education Grants Manager, who will be happy to advise you - education@rplc.org.uk or call: 0208 948 5701. Please submit an application at least five weeks prior to a meeting date. For residents in TW9, TW10, SW13 & SW14. RPLC supports courses of study or training for those who cannot afford to pay the full cost. Our grants are available to be used towards fees, equipment, child care, travel and/or other living expenses. We recognise that, expecially in today's competitive economy, people may need additional qualifications or training in order to find employment, to improve their career prospects and income potential or to move to a new sector, including those aspiring to set up or expand a self-employed business. Some applicants may be returning to education from a low educational background; some will be building on previous educational achievements; others may wish to train in a new sector due to changed circumstances or limited opportunities in their field. Grants of up to £400 are also available to full-time carers and retired residents for a recreational course to improve their socialisation and quality of life, and to residents recovering from a mental or physical condition for a therapeutic course. Grants are usually given for courses in the public sector except in those cases where they are unavailable in state-maintained institutions. Please read the guidelines first before submitting an application form. If you wish to apply for a grant of less than £750, please click here. Individuals applying for a grant for more than £750, please click here. Forms are saved as you complete them and you can work on them over several sessions. In order to access your form, simply return to our website using the same laptop/device as before, click on the form you started and you will return to the application as you left it. Please bear in mind information is saved for two weeks only. Once you have submitted an application form, the next step will be an informal interview with our Education Grants Manager. Individuals will be asked to bring proof of residence and household income. References will also be taken up. Individuals who are approved financial assistance for a second or third year of study are required to submit a grant renewal form. Examples of previous education grant-making include assistance with courses in literacy, gas fitting, plumbing, beauty therapy, hairdressing, first aid, IT, HGV driving, nursing, teaching and accounting as well as for undergraduate programmes. Support is also regularly approved for associated costs such as childcare, materials and equipment. Many of our applicants face challenges such as a physical disability, mental health issues, divorce, long-term unemployment, homelessness, debt, a criminal record, domestic abuse and/or English as a foreign language. A significant number are single parents. These are available to staff working for organisations and charities in TW9, TW10, SW13 and SW14 that serve the needs of our local community. Staff working in RPLC-catchment schools may also apply. Priority will be given to applications from individuals working for a school or small- or medium-sized charity who are paid employees and who wish to attend a course that benefits both their personal development and the work of their employer. If you wish to apply for a staff training grant, please submit the following application form and be aware that your employer will be contacted for a reference to support your application. Examples include a CIPD level 5 course for an HR professional, an MSc in Family Therapy for a charity worker and Forest School leadership for a Teaching Assistant. Funding is made available each year to RPLC-catchment schools to help them to support children from the lowest-income households. 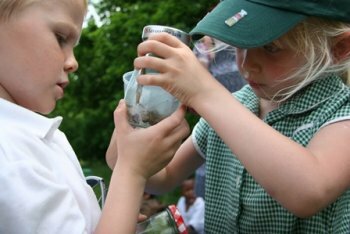 Whilst the Pupil Premium is generally used for the purpose of Learning Support, the RPLC Child Support grant makes it possible for all pupils to join school outings, residential trips, swimming lessons and extra-curricular activities, such as Breakfast Club and the Duke of Edinburgh Award Scheme. Each school submits annual feedback to RPLC detailing how the grant has been used. 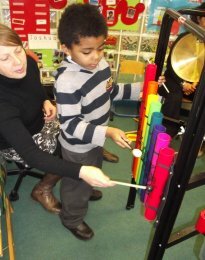 In recent years, RPLC has approved educational project grants to many local schools and organisations including Kew Approved Premises, Richmond EAL Friendship Group, Room for Work, Knights Basketball Academy, Richmond Music Trust, Harlequins Foundation, LBRuT Care Leavers team, Action Attainment, Kick London and Holly Lodge. If you wish to apply for an educational project grant for your school or organisation, please use this application form. Guidelines are available here. If your organisation receives a grant, you are required to submit a Monitoring and Evaluation Form 12 months after you receive the grant. For any queries, please contact Amy Vogel, Education Grants Manager.